↑The Average Sold Price in Pocono Pines for August 2014 was $294k, UP from $262k for August 2013, A very nice Jump! ↓The Number of Homes Sold in Pocono Pines for August 2014 was 10, down from 11 for August 2013. This goes against the County average which showed the number of homes being sold on the rise again this month, now making 22 months in a row. The Number of Homes Sold in the Pocono Pines PA Real Estate Market Report for 2014 is 62, DOWN from 64 for YTD 2013. Discouraging! Although these statistics don’t quite reflect it, it is still the Best Real Estate Market the Poconos has seen in several years. Looking for a Pocono Pines PA Real Estate Agent? Give Bobbie Smith a call for an Interview. Discover the Value that Bobbie and RE/MAX of the Poconos provide to you. Our clients say “No one ever told me that before.” Our value is evident in our presentation and the amount of work that we do for you to Market your home on all the right avenues. Bobbie: Good to see sales prices going up in Pocono Pines. With increased homes under contract, it looks like this community is poised for a solid fall real estate season too. Are looking for a knowledgeable and experienced REALTOR to assist you with your Pocono Pines PA real estate needs? If so contact Agent Bobbie Smith today and put her to work for you! Hi Bobbie, Grave to see the prices jump up in the area. Hope that means that more people will list their homes with you to take advantage of prices going up. Bobbie - Thanks for the comprehensive stats on Pocono Pines, Pennsylvania real estate market report August 2014. Very fine information and a terrific post as usual. Have a great day. 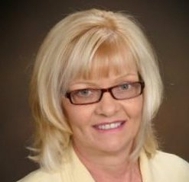 Those looking for help to buy or sell in the Pocono Pines area need to call Bobbie Smith!